Keep your customers in the loop with their jobs at the click of a button. 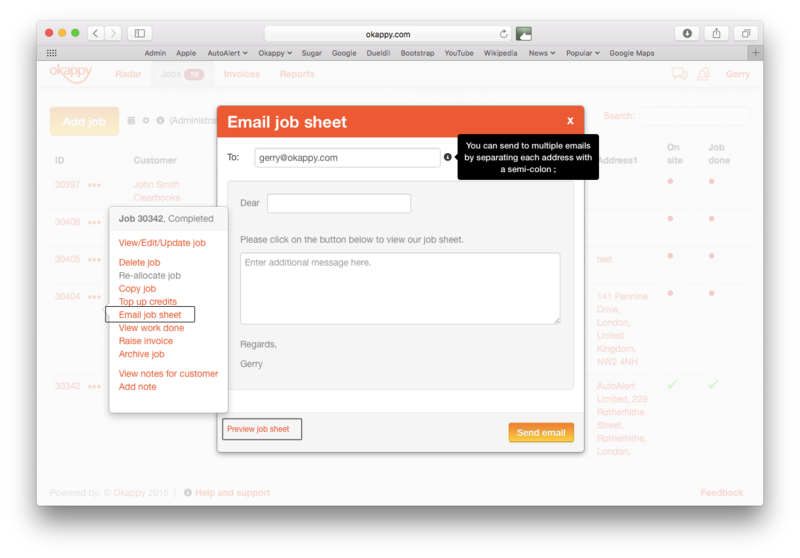 With Okappy, once your engineer has completed a job, you can email the job sheet to your customer immediately. Your customer can see what was done on the job and you can get paid quicker. Your customer can also log in from the job sheet to view the status of all their jobs. There are a couple of ways to email the job sheet to your customer. Below is our quick guide showing how to email a job sheet to your customer or to another person. Firstly, from the Dashboard, click on the more icon ( ) next to the job you want to email. Click 'Email job', the following screen will pop up. 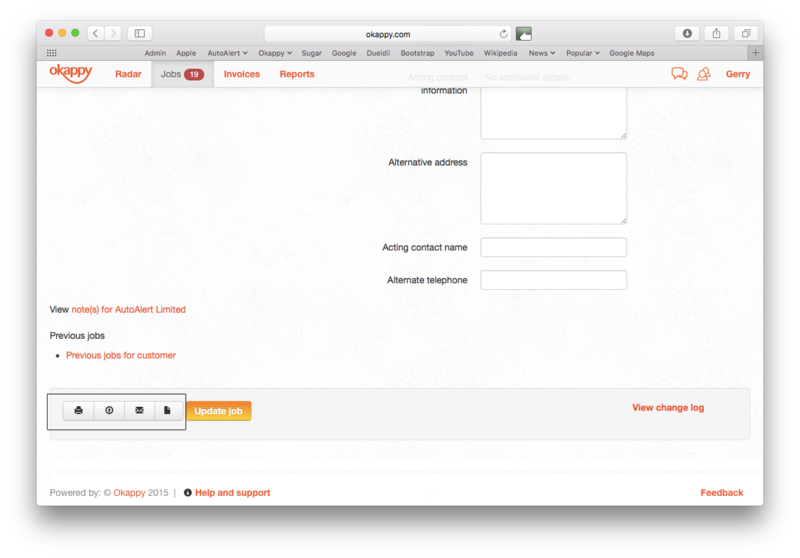 You can add additional notes to your email which will appear in the body of the email which gets sent to your customer. You can also send to multiple recipients by using semi-colon (;) to separate out each email address. Alternatively, you can view or edit the job first and then email the job sheet directly from the job to your customer. Access the job by clicking on the more icon ( ) next to the job you want to edit and then click 'View/Edit/Update job'. You can can check the job details entered by your engineer and/or view any attachments such as photos, documents or signatures. Once you're happy, scroll to the bottom of the job sheet where you will see three icons. You can either print the job sheet ( ), add more attachments ( ), email the job sheet ( ) to your customer or preview ( ) the job sheet before you send it. To email the job sheet to your customer, simply click the email job sheet icon. Fill in the details as above and click 'Send email'. Hope this helps. Check out our help and support centre for more tips and advice or find out more about Okappy Job Management.